Twenty-two abandoned golden retrievers from Istanbul are now calling Canada their home. 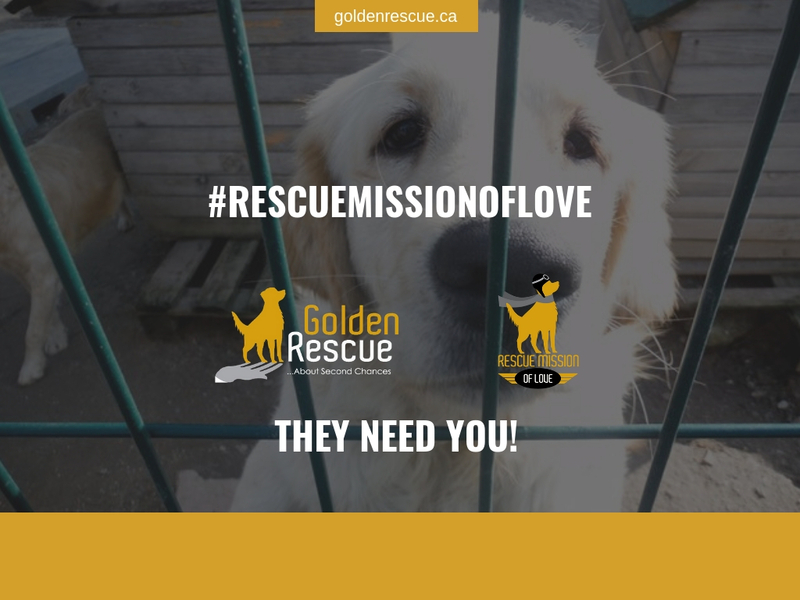 Golden Rescue™, one of the largest single breed animal rescue groups in Canada has transported the dogs from Turkey to Canada in an operation dubbed Rescue Mission of Love, and the great news is that the rescue group is just getting started. Approximately 1,000 golden retrievers in Istanbul have been abandoned, left on the street to fend for themselves or put into shelters as a result of economic uncertainty. There are many homeless dogs in Turkey and not enough room in the shelters for all of them. Because there is no shelter euthanasia and few adoptions in Turkey, dogs either live out their lives in a shelter or are put on the streets or in the forests after they are spayed or neutered and given rabies vaccines. But Golden Retrievers don’t survive well on the streets. They are not good pack animals and won’t fight back, so many are attacked by other dogs and their survival depends on people helping them. 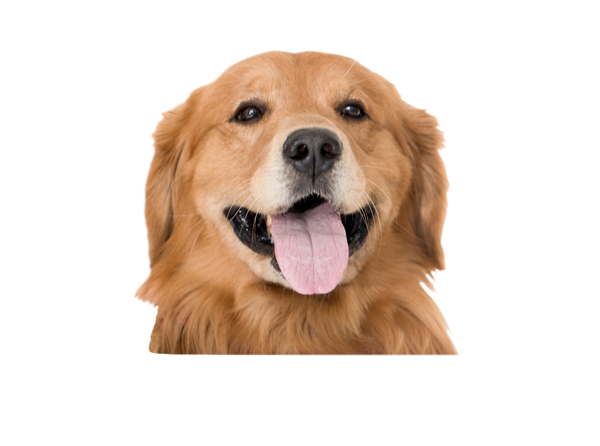 While many local residents will feed these dogs on the streets, the golden is looking for something more – affection and stability. Late last year, members of Golden Rescue’s Board of Directors personally funded a trip to Istanbul to witness the dire situation of these animals and upon meeting them, and the tireless shelter workers who have been caring for them, resolved to extend the boundaries of the organization’s reach and bring the goldens to Canada for a second chance at life. As a first step in the rescue mission, four goldens travelled from Istanbul to Canada in December, via Turkish Airlines and were quickly placed in the care of new, loving families. On January 14th, 18 more goldens arrived safely at JFK International Airport in good health, met by a convoy of Golden Rescue volunteers, who travelled from Ontario to New York to meet and bring home these gentle souls. Greeted with cheers, tears and goodie baskets filled with toys and treats, the goldens were released from their travelling crates, one by one, into the loving arms of those who had been waiting anxiously for their arrival. With names that harken back to an era of laughter and levity, these goldens are called Bob Hope, Lucille Ball, George Burns and Rosemary Clooney. More typical names for the lucky arrivals include, Happy, Dumbo, Rosie, Adelle and Limon, to name a few. And while some of them may not understand English, they all instinctively knew, like all new Canadians, that they have arrived in a land of safety and freedom where they will be loved and cared for. 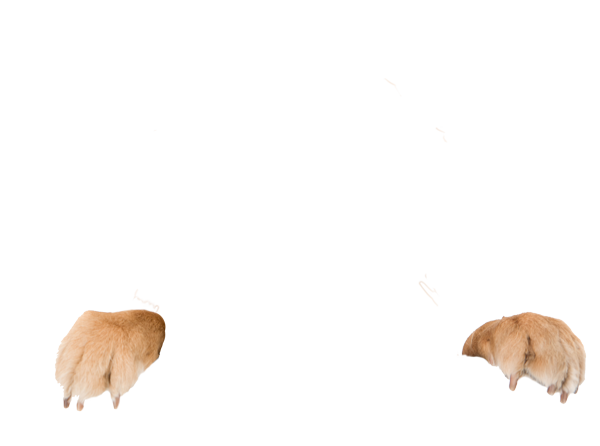 All the dogs are provided with complete medical examinations and behaviour assessments and in accordance with Golden Rescue’s practices, goldens are placed with their forever families through a rigorous matching process. Golden Rescue has a plan and the resources in place to bring more goldens from Istanbul to Canada on a frequent basis, and is seeking a way to fly them directly to Pearson International Airport from Istanbul, to mitigate travel-induced stress on the dogs. The organization is seeking advice and input from anyone interested in helping with this unique request and charitable mission.